Digital devices like tablets, smart phones, and laptop have become increasingly raised and utilised in higher education. As a result, current trends on ICT (information and communication technology) used in education begin widely with focusing on teaching and learning. The new concept of big data in recent ICT domain extends the promising research direction on online learning and big data integration through promising content that can be tailored for each student based on the context and Internet behaviour of users in online learning. This paper aims to explore innovative design for innovative online learning in Higher education using Big Data approach. Critical review from referred journals and books was conducted using thematic analysis. This paper proposes model reference which can be implemented with the technology in teaching and learning to improve student learning environment and outcomes and to enhance students’ development, performance and achievement in learning process in higher education. Huda, M., Maseleno, A., Atmotiyoso, P., Siregar, M., Ahmad, R., Jasmi, K. & Muhamad, N. (2018). Big Data Emerging Technology: Insights into Innovative Environment for Online Learning Resources. 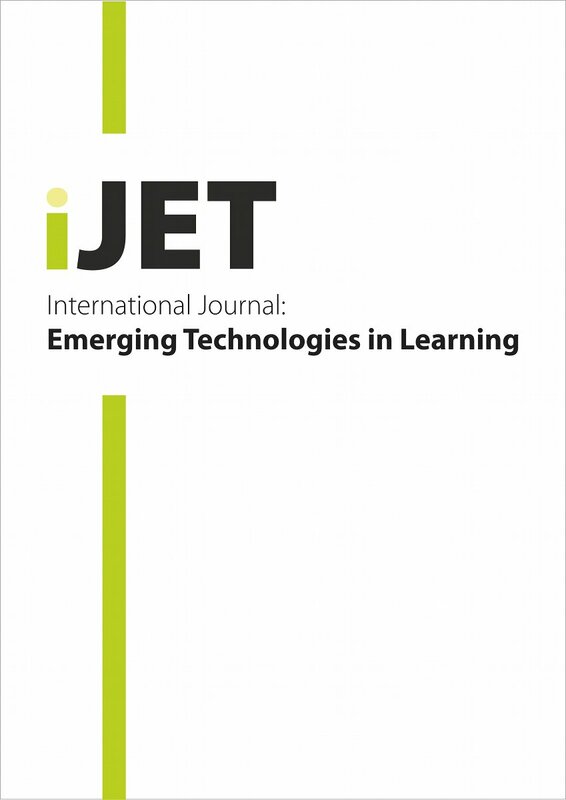 International Journal of Emerging Technologies in Learning (iJET), 13 (1), 23-36. Kassel, Germany: International Association of Online Engineering. Retrieved April 23, 2019 from https://www.learntechlib.org/p/182240/. Hixon, E., Buckenmeyer, J., Barczyk, C., Feldman, L., & Zamojski, H. (2012). Beyond the early adopters of online instruction: Motivating the reluctant majority. The Internet and Higher Education, 15(2), 102-107. Https://doi.org/10.1016/J.iheduc.2011.11.005Omar,A.,Kalulu,D., & Alijani, G.S. (2011). Management of innovative e-learning environments. Academy of Educational Leadership Journal, 15(3), 37. Puzziferro, M., & Shelton, K. (2008). A model for developing high-quality online courses: Integrating a systems approach with learning theory. Journal of Asynchronous Learning Networks, 12, 119-136. Https://doi.org/10.24059/olj.v12i3.58Anshari,M.,Alas,Y.,Sabtu,N.I.P.H., & Hamid, M.H.S.A. (2016). Online Learning: trends, issues and challenges in the Big Data Era. Journal of e-Learning and Knowledge Society, 12(1), 121-134. Huda, M., Haron, Z., Ripin, M.N., Hehsan, A., & Yaacob, A.B.C. (2017). Exploring Innovative Learning Environment (ILE): Big Data Era. International Journal of Applied Engineering Research, 12(17), 6678-6685. Arifin, F., Hariadi, M., & Anshari, M. (2017). Extracting Value and Data Analytic from Social Networks: Big Data Approach. Advanced Science Letters, 23(6), 5286-5288. LaValle, S., Lesser, E., Shockley, R., Hopkins, M.S., & Kruschwitz, N. (2011). Big data, analytics and the path from insights to value. MIT sloan management review, 52(2), 21. Boyd, D., & Crawford, K. (2012). Critical questions for big data: Provocations for a cultural, technological, and scholarly phenomenon. Information, communication& Society, 15(5), 662-679. Https://doi.org/10.1080/1369118X.2012.678878Villars,R.L.,Olofson,C.W., & Eastwood, M. (2011). Big data: What it is and why you should care. White Paper, IDC. Mayer-Schönberger, V., & Cukier, K. (2013). Big data: A revolution that will transform how we live, work, and think. Houghton Mifflin Harcourt. Chandarana, P., & Vijayalakshmi, M. (2014, April). Big data analytics frameworks. In Circuits, Systems, Communication and Information Technology Applications (CSCITA), 2014 international conference on (pp. 430-434). IEEE. Huda, M., Jasmi, K.A., Basiran, B., Mustari, M.I.B., & Sabani, A.N. (2017). Traditional Wisdom on Sustainable Learning: An Insightful View From Al-Zarnuji's Ta 'lim alMuta 'allim. SAGE Open, 7(1), 1-8. Https://doi.org/10.1177/2158244017697160Huda,M.,Sabani,N.,Shahrill,M.,Jasmi, K.A., Basiron, B., & Mustari, M.I. (2017). Empowering Learning Culture as Student Identity Construction in Higher Education. In A. Shahriar, & G. Syed (Eds. ), Student Culture and Identity in Higher Education (pp. 160179). Maseleno, A., Huda, M., Siregar, M., Ahmad, R., Muhamad, N.H.N., Hehsan, A., Haron, Z., & Ripin, M.N., Ihwani, S.S., Jasmi, K.A. (2017). Combining the Previous Measure of Evidence to Educational Entrance Examination. Journal of Artificial Intelligence (in press). Https://doi.org/10.3923/jai.2017.85.90Harasim,L. (2017).Learningtheory and online technologies. New York and London: Taylor& Francis. Ko, S., & Rossen, S. (2017). Teaching online: A practical guide. New York and London: Taylor& Francis. Maseleno, Sabani, N., A., Huda, Ahmad, R., Jasmi, K.A., Mustari, M.I., and Basiron, B. (2017). Understanding Learning Analytics to Improve Personalised Learning. Journal of Engineering and Applied Sciences. (in press). Franke, B., Plante, J.F., Roscher, R., Lee, E.S.A., Smyth, C., Hatefi, A.,... & Hoffman, M.M. (2016). Statistical inference, learning and models in big data. International Statistical Review, 84(3), 371-389. Https://doi.org/10.1111/insr.12176Huda,M.,Jasmi,K.A.,Mohamed,A.K.,WanEmbong, W.H., & And Safar, J. (2016). Philosophical Investigation of al-Zarn!j"’s Ta!l"m al-Muta!allim: Strengthening Ethical Engagement into Teaching and Learning. Social Science, 11(22), 5516-5519. Huda, M., Yusuf, J.B., Jasmi, K.A., & Nasir, G.A. (2016). Understanding Comprehensive Learning Requirements in the Light of al-Zarn!j"’s Ta#l"m al-Muta#allim. Sage Open, 6(4), 1-14. Https://doi.org/10.1177/2158244016670197Huda,M.,Maseleno,A.,Jasmi,K.A.,Mustari, I., & Basiron, B. (2017). Strengthening Interaction from Direct to Virtual Basis: Insights from Ethical and Professional Empowerment. International Journal of Applied Engineering Research, 12(17), 6901-6909. Othman, R., Shahrill, M., Mundia, L., Tan, A., & Huda, M. (2016). Investigating the Relationship Between the Student’s Ability and Learning Preferences: Evidence from Year 7 Mathematics Students. The New Educational Review, 44(2), 125-138. Huda, M., & Kartanegara, M. (2015). Islamic Spiritual Character Values of al-Zarn!j"’s Ta ‘l"m al-Muta ‘allim. Mediterranean Journal of Social Sciences, 6(4S2), 229-235. Huda, M., Yusuf, J.B., Jasmi, K.A., & Zakaria, G.N. (2016). Al-Zarn!j"'s Concept of Knowledge ('ilm). SAGE Open, 6(3), 1-13. Https://doi.org/10.1177/2158244016666885Yang,T.C.,Fu,H.T.,Hwang,G.J., & Yang, S.J. (2017). Development of an interactive mathematics learning system based on a two-tier test diagnostic and guiding strategy. Australasian Journal of Educational Technology, 33(1), 62-80. Anshari, M., & Lim, S.A. (2016). E-Government with Big Data Enabled through Smartphone for Public Services: Possibilities and Challenges. International Journal of Public Administration, 1-16. Zulkarnain, N., & Anshari, M. (2016, November). Big data: Concept, applications, & Challenges. In Information Management and Technology (ICIMTech), International Conference on (pp. 307-310). IEEE. Eynon, R. (2013). The rise of Big Data: what does it mean for education, technology, and media research?. LEARNING MEDIA AND TECHNOLOGY, 38(3), 237-240. Provost, F., & Fawcett, T. (2013). Data science and its relationship to big data and datadriven decision making. Big Data, 1(1), 51-59. Https://doi.org/10.1089/big.2013.1508Richtárik,P., & Taká$, M. (2016). Distributed coordinate descent method for learning with big data. The Journal of Machine Learning Research, 17(1), 2657-2681. Chen, C.P., & Zhang, C.Y. (2014). Data-intensive applications, challenges, techniques and technologies: A survey on Big Data. Information Sciences, 275, 314-347.